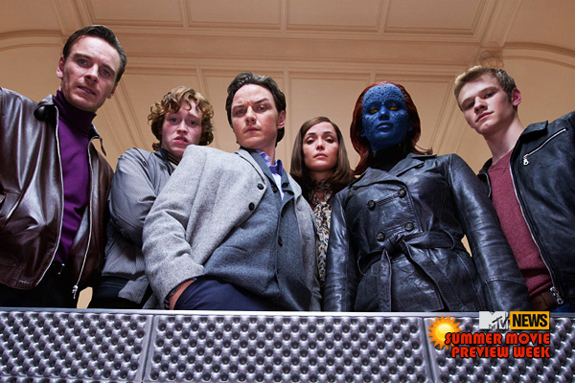 Here's another image of some of Matthew Vaughn's X-Men team from X-Men: First Class. I think it's funny that a lot of people have mentioned that Jennifer Lawrence looks weird as Mystique. At first I thought the same thing, but then thought... wait a minute, she's playing a blue scaly mutant so of course she's going to look weird. Unfortuntley the image doesn't really show us anything we haven't seen before, same character different pose.